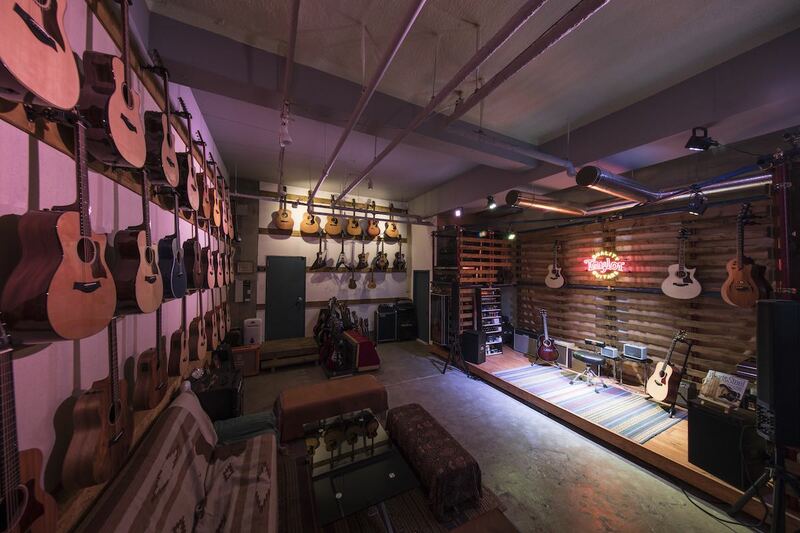 Artist Lounge TOKYO is a Taylor Guitars specialty store located 3 minutes walk from Hatsudai station north exit. all to yourself, free of charge, for a maximum of 2 hours for your premium demoing experience. Artist Lounge is Taylor Guitars’ official gold level certified repair and maintenance shop. Authorized staff is in store at all times, and simple maintenance can be done while you wait – as short as 30 minutes. Not only that, store manager Hiro, with 14+ years of Taylor Guitars artist relations experience, will help you through, every step of the way. Please contact info@artist-lounge.com for your free reservation. Hatsudai station is 1 stop from Shinjuku station using the Keio New Line.